On our second day, we visited Gyeongbokgung Palace. There are a few palaces in Seoul. 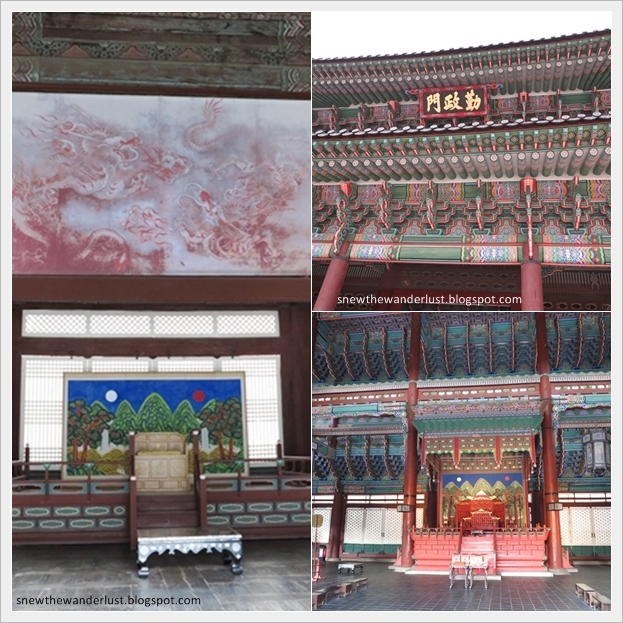 The main royal palace of the 500 Joseon Dynasty remains to be the Gyeongbokgung Palace. So if you do not have the luxury of time or an inept for Korean history, visiting the Gyeongbokgung Palace would probably just be sufficient. There are at least three entrances to the Gyeongbokgong. The Royal Change of Guard Ceremony happens at the main Gwanghwamun Gate (which faces the Gwanghwamun Square). It's a good opportunity to witness and experience some rare traditional Korean culture. Happens on the hour between 10am - 3pm, except Tuesday. Not trying to be rude, but this guard looks pretty adorable, similar to those you see from the TV drama series. Talking about it, I always thought that such performance and traditional costumes are worn in the period dramas. Was pretty amaze that the ceremony still happens at the Royal Palace presently. There are numerous different halls and pavilions in the palace. To be honest, I didn't have the energy to continue after seeing the first few. The grounds are just simply too huge to cover. Size does matters. Especially to my tiring legs! Seeing is believing Now I really understand what it means by the size of the palace grounds. Not forgetting, I have yet to cover on the palace gardens. We decided to venture to the back of the palace, whereby we reach the gardens. It's another huge piece of land, with views of the mountains. With the autumn leaves, this makes it really picturesque. Gyeongbokgung Palace Station (Subway Line 3), Exit 5 and walk for 5mins. or Gwanghwamun Station, (Subway Line 5), Exit 2 and walk 400m. 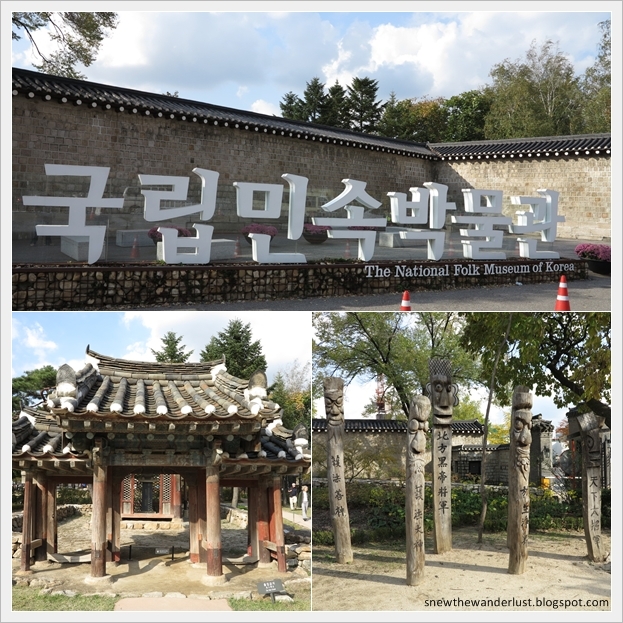 Walking further from Gyeongbokgung, we reach the National Folk Museum of Korea. There are 4,000 historical artifacts in the museum. Below shows the rotary grinding mill used in the olden days. We did not actually go into the museum but stumble upon the open-space artifacts on the front yard of the museum. 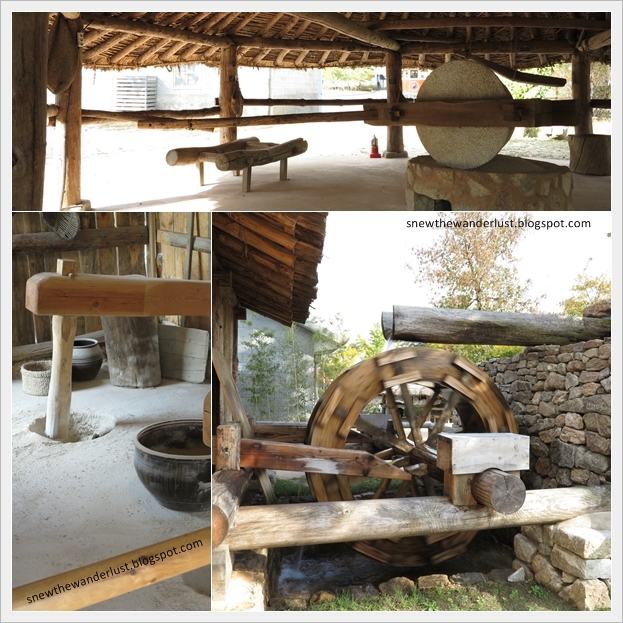 It showcase interesting facts on the diversity themes of Korean folk life, highlighting particularly on the traditional rural life.